Next City proposes that transit should be free during the traffic nightmare that is the Seattle Squeeze. It’s not, but crowds are showing up early to catch trains and buses anyway, according to KUOW. One woman’s new car-free commute, including 10 miles on a bike, was documented by Q13. Bike commutes like hers are rising in the wake of “Viadoom,” the Alaskan Way Viaduct’s closure, Curbed reports. Average daily rides on Milwaukee’s The Hop streetcar rose in its second month of operation, but as the Milwaukee Record points out, people are going to complain about it anyway. A streetcar skeptic debates city leaders on whether it’s been successful on an OnMilwaukee podcast. The Phoenix New Times rode trains with a bunch of people wearing no pants and lived to tell the tale. Yes, there’s a slideshow. 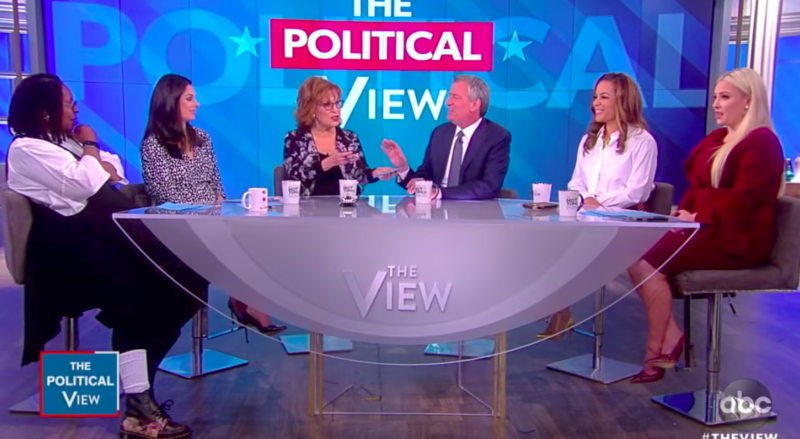 And New York City Mayor Bill de Blasio went on “The View” (below) to talk about his national agenda, but ended up getting grilled on bike lanes in a fact-free fashion by Whoopi “Drives in From New Jersey” Goldberg. (NY Daily News).